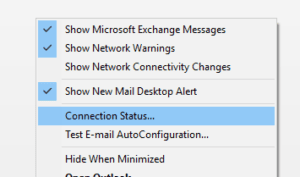 One of the many new features delivered in Exchange 2013 SP1 and Exchange 2016 is a new method of connectivity to Outlook referred to as MAPI/HTTP. This protocol was first delivered with the update to Exchange 2013 called SP1 (otherwise known as CU4 or 15.0.847.32), however it needed to be manually enabled. It was also rolled out to Office 365 in May of 2015. 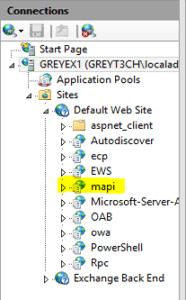 Do you need help configuring MAPI/HTTP in Exchange Server 2016? Email info@peters.com, and we’ll be happy to assist. For more info see – Managed IT Services. There is one more place where MAPI/HTTP can be controlled. With Exchange 2013 this is defaulted to $false and with Exchange 2016 this is defaulted to $true. All the connections going to the server are now using the protocol HTTP.